Long Island gallerist Glafira Rosales (left) sold fake paintings to Knoedler director Ann Freedman (right), who then turned them around for millions. Was Freedman aware that they were fakes? Jeff Taylor does not work for, consult, own shares in or receive funding from any company or organization that would benefit from this article, and has disclosed no relevant affiliations beyond their academic appointment. In Manhattan Federal Court, there’s a trial taking place that has highlighted just how murky the business of art authentication has become. After suddenly closing in 2011 in the wake of massive lawsuits, Knoedler Gallery and its former director, Ann Freedman, are finally having their day in court: they’re currently faced with a civil lawsuit leveled by collector (and chairman of Sotheby’s) Domenico de Sole, who thought he had bought an US$8.3 million Rothko from the gallery. It was actually painted by Pei-Shen Qian, a Chinese immigrant living in Queens. But the collapse of the Knoedler, New York’s oldest art gallery, was much more protracted and complex than the forgery trial taking place. The gallery’s fall has much to do with profound changes in the gallery business over the last century and the increasing scarcity of profitable secondary market material. When Michael Knoedler arrived in New York in 1846 as a representative of the French lithographer Goupil & Cie, the city had virtually no art dealers to speak of. Because few Americans could afford to purchase one-of-a-kind oil paintings, Knoedler’s job was to sell customers inexpensive prints from Paris. By the turn of the century, the gallery advanced boldly into the field of original old masters and – with J.P. Morgan and Henry Clay Frick as clients – became a serious rival to the dominant dealer of the era, Joseph Duveen. But the ongoing court case isn’t the first time the gallery has been embroiled in nefarious dealings. In 1931, representatives of Knoedler purchased 21 masterpieces from Russia’s Hermitage Museum for Andrew Mellon in a set of secret sales sanctioned by Joseph Stalin. The works included van Eyck’s Annunciation and Botticelli’s Adoration of the Magi, which sold for roughly $900,000. The deal, brokered by Armand Hammer, an American with close business ties to the Soviet Union, began the gallery’s long, tragic involvement with the Hammer family. Nor is the recent case their first brush with forgery. In the 1958 edition of Art News Annual, the gallery took out a full-page ad with a 1948 Matisse that turned out to be a fake by the notorious forger Elmyr de Hory. It was a great painting. You would never dream it was a fake. 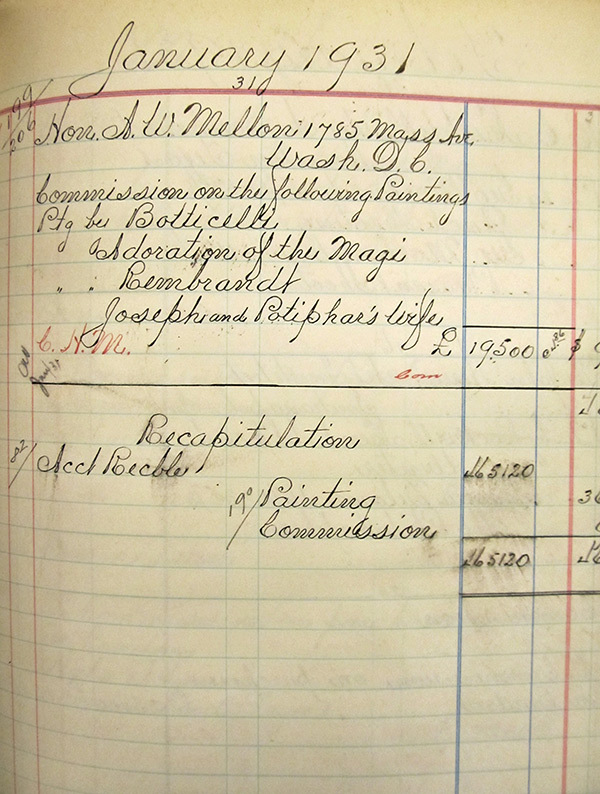 Soon after the ignominy of the Elmyr affair, Knoedler found itself teetering on bankruptcy. In 1971, the gallery was sold for $2.5 million – to their old partner in the Hermitage deals: Armand Hammer. Hammer made the excellent choice of appointing his business partner Maury Leibovitz to run the operation. Leibovitz, in turn, hired a well-connected art world figure, Lawrence Rubin, as gallery director. Leibovitz and Rubin reversed flagging revenues by switching up the business model. No longer did the gallery deal in old masters and classical modernists. They reoriented their focus, switching to midcentury and contemporary art and representing artists like Frank Stella, Richard Diebenkorn and Robert Rauschenberg. Leibovitz also understood that galleries rarely survived on one revenue stream alone. He revived Knoedler’s original business model – printing and selling serial artworks – and featured the prints of the immensely popular expressionist painter Leroy Neiman. The main reason the Knoedler Gallery stayed afloat before 1993 was because of the genius of the president, Maury Leibovitz, and his strong relationship with LeRoy Neiman. The revenues from the lucrative publishing and printing deal between Neiman and Knoedler allowed the gallery to stay in business. 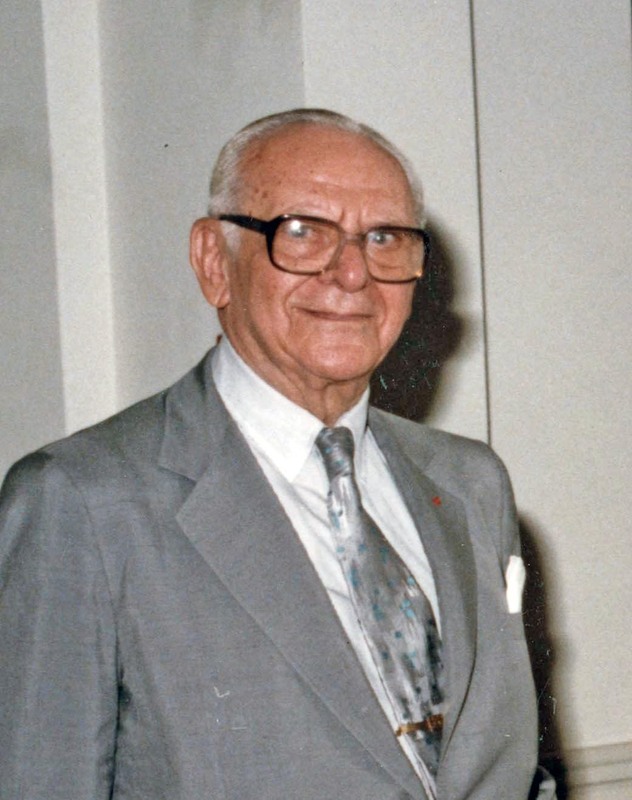 Armand Hammer died in 1990, and his grandson, Michael A. Hammer, assumed control of the gallery. When Leibovitz died in 1992, the gallery’s relationship with Neiman deteriorated. Then, in 1994, Michael Hammer dismissed Rubin, ceding total control of the operation to his protégé Ann Freedman, which caused an exodus of artists led by Rauschenberg. The gallery needed to find a source of income to replace their lost artists, especially a cash cow like Neiman. Furthermore, the big auction houses, Christie’s and Sotheby’s, were increasingly dominating the business of selling canonical artworks on the secondary market. Enter: an obscure Long Island gallerist named Glafira Rosales, who represented a collection of undiscovered Abstract Expressionist works belonging to an anonymous “Mr. X.” Rosales was willing to sell the pieces to Knoedler at below-market prices. Perhaps alarms should have immediately sounded in 1993. That year, the estate of Richard Diebenkorn claimed two drawings from his Ocean Park series were fakes. Without the profits from these sales, however, Knoedler would have likely collapsed. In fact, much of the argument for Ann Freedman’s culpability in the ongoing trial comes from the unlikely profitability of these sales. Many had achieved resale values five to eight times their purchase price from Rosales. Any dealer would be thrilled to make that kind of opportunistic deal; but if it presents itself too often, then it’s likely the goods are fake, stolen work or were illegal exported. Yet despite some more red flags – including a Pollock sold in 2002 that the International Foundation for Art Research (IFAR) couldn’t find support for the claimed provenance – Knoedler’s continued to sell works coming from the collection of Rosales’ mysterious Mr. X. The full scale of the alleged conspiracy, however, became apparent only through two concurrent cases. One was a Robert Motherwell painting from the artist’s Elegy to the Spanish Republic series sold by Julian Weissman, a former Knoedler employee (who also bought from Rosales). The Dedalus Foundation (which publishes the authoritative compendium of Motherwell’s body of work) first wrote in 2007 that it would be included in the upcoming edition. However, it wrote back two years later to say it would not; in the intervening years, the piece had been tested and found to contain materials not yet patented at the time the painting was purported to have been made. The other case involved another Pollock that Knoedler sold to hedge fund manager Pierre Lagrange with an assurance, apparently, that it would be included in the updated edition of Pollock’s catalogue raisonné. In fact, the artist’s authentication board had been disbanded since 1995. When Lagrange found that neither major auction house would not accept the painting for sale, he filed suit in 2011, and the gallery promptly closed. The biggest indictment, however, may concern the abstract expressionist art movement. The current court case surrounds a Mark Rothko forgery that Art Basel founder Ernst Beyeler described as “sublime.” Perhaps those philistines who sneered at Rothko, Pollock and Motherwell – saying that anyone could do that type of abstraction – weren’t so far from the truth. After all, if a Chinese immigrant in Queens could do them all quite convincingly, one has to wonder how many other abstract expressionist fakes have been bought and sold. And if a high-profile gallery was willing to sell them, can anyone really trust the authentication process that’s in place – for abstract expressionist works and beyond?